American Tower, one of the largest global real estate investment trusts with a portfolio of over 170,000 communications real estate sites, recently announced that it had deployed a new network based on the LoRaWAN protocol in several of the country’s largest cities. The network, which covers the cities of São Paulo, Rio de Janeiro and Belo Horizonte, has already connected over 400,000 devices to the Cloud and is forecast to connect two million devices by the end of 2019 serving a variety of use cases ranging from smart agriculture to smart city solutions. The current coverage area of these three metro areas alone accounts over 25% of Brazil’s GDP and American Tower has ambitious plans to expand coverage to include 50% of the GDP, about 80 Brazilian cities, by mid-2019. This expansive coverage will make LoRa-based IoT solutions more accessible throughout the region, enabling efficiencies for businesses. In another Brazilian-based use case, Maxtrack, a leader in smart vehicle tracking solutions, has developed a tracking solution for more efficiently locating and recovering both stolen cargo and vehicles, reducing operating costs for fleet managers and logistics solutions providers. LoRa Technology’s proven long range capabilities, coupled with its ease-of-implementation, made it a perfect choice for Maxtrack’s new tracker, which needed an extended communication range outside the reach of traditional cellular networks. LoRa-based geolocation solutions are ideal due to the extended range, low power capabilities and consistent coverage without GPS. Read more about LoRa-based location services in this blog. LoRa Alliance™ member YEAP!, based in Argentina, recently completed the first stage of its LoRaWAN-based network deployment in Uruguay’s capital, Montevideo. YEAP! 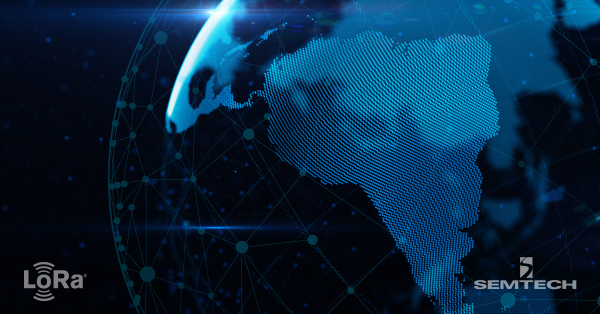 plans to continue to increase network coverage across the Latin American region, adding coverage in Colombia, Uruguay and parts of Paraguay in the near future. YEAP!’s long range, low power LoRa-based infrastructure supports a variety of solutions, including smart parking, lighting, waste management, public transportation, and energy monitoring. Other LoRa-based IoT solutions offered by YEAP! include smart agriculture solutions, such as animal health monitoring and IoT solutions for pet, child and family member tracking and activity/health monitoring. This variety of solutions represents improved services for communities, solving daily challenges for individuals, and improving operations for businesses. 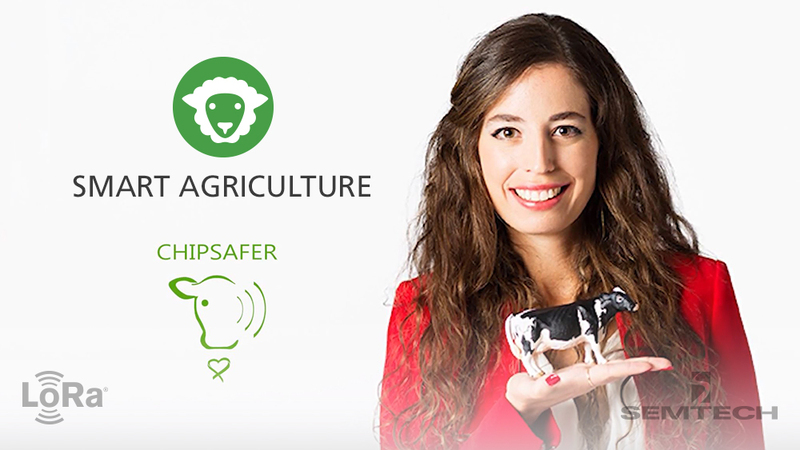 Montevideo’s smart agriculture company, Chipsafer, focuses on improving the safety and security of livestock herds, while reducing ranchers’ environmental impact and providing traceability across the bovine lifecycle. In 2017, Chipsafer collaborated with Semtech to create a smarter cattle ranching solution that connects cattle to the Cloud to enable the active management of livestock. The LoRa-based solution offers ranchers accurate, real-time information on their livestock’s body movement, body temperature and importantly, their geolocation on the ranch. With cattle theft a prominent issue in Latin America and worldwide, the ability to utilize IoT to remotely check on livestock location is an attractive prospect to ranchers. Interested in learning more about the LoRaWAN specification and the companies committed to its continued success? The LoRa Alliance, an association of more than 500 member companies, supports the interoperability needed for low power wide area networks (LPWANs) to scale, making LoRaWAN the premier open source technology solution for global LPWAN deployments. Visit the LoRa Alliance’s website for more.